It is that time of year again, to really take a good hard look at the herd and select cattle to offer in the Southeast Classic Sale. I feel this sale is one of the better sales in our part of the country as far as overall quality of cattle offered. Needless to say I want to take really good ones. We are going to take one that is for sure breaking my heart. She is out of our Donor SAV Blackbird 9057 she had a birthweight of 78 pounds and a adjusted weaning of 698. She is sired by SAV Registry 2831 the only negative on the heifer for us is her birth date of 4/20/2018 which does not fit into our program. That is the only reason we would consider letting this heifer leave the farm. She is really good. 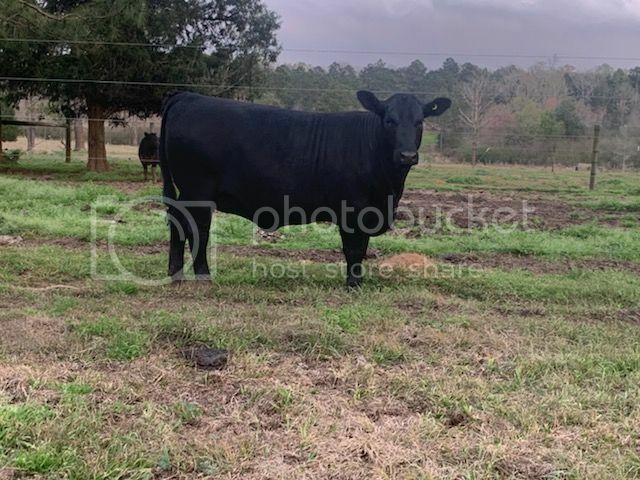 This is a photo of the Donor SAV Blackbird 9057 she is the full package great feet and legs, udder and gentle as a baby kitten. 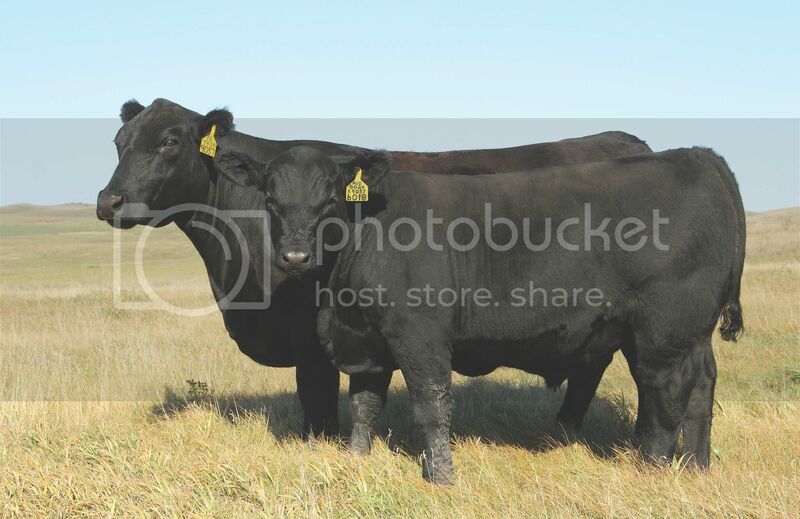 A picture of 9057 in the pasture with one of her bull calves. This is a picture of a Harvester daughter SAV Blackbird 4130 out of the 9057 cow. 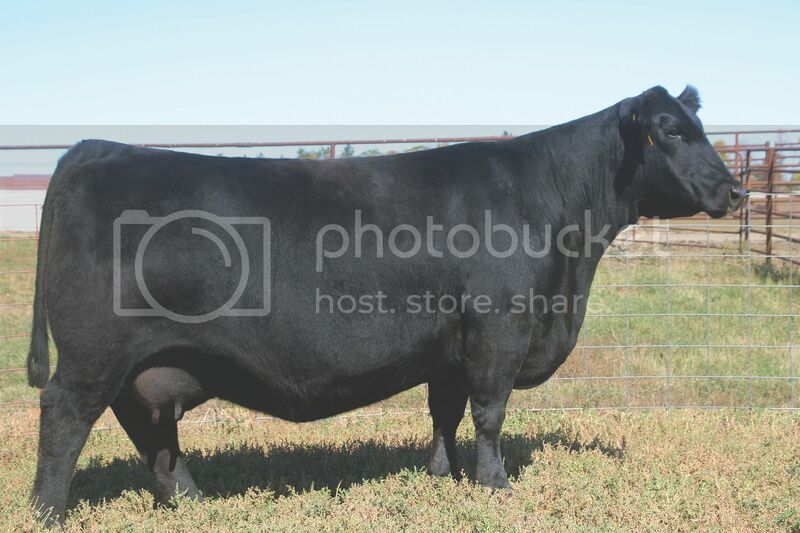 I think this heifer by Registry is going to be a lot like the Harvester daughter pictured above. She is as good as we have ever offered in a sale. Those are the right kind of cows. That is the right type for sure. I like the depth of 4130 cow, lots of rib. Lot's of hind end too, and still looks feminine. That's a boomer of a calf. Lookin really good! I like them! Thanks, I will be getting photos of the actual heifer in the next few weeks. She is really deep and soggy and super gentle like her dam. We own her in a partnership with our friend Keith Walther of High Tide Angus. Since we both calve in the fall the decision was made to sell. The up side is we have embryo calves due out of 9057 in October. The matings we have coming are Renown, Raindance and Extension. We are breeding her AI tomorrow to SAV Regard. Next year we already plan to flush to Registry as that mating sure worked. I never get tired of this! Just send her to Kansas. She’ll appreciate the change in the weather. 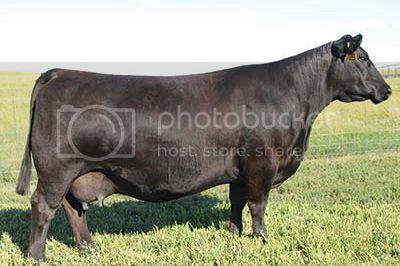 We just finished breeding the 9057 cow to Regard. I sure hope it took we will turn her out with our Resource son in the next couple of weeks. Jake she would probably love Kansas! Any chance the heifer has had a HD 50K done? Vince she hasn’t yet but we will have her genomically tested one of those items on the list we have to get around to. That is the problem with having just one calf that doesn’t fit your program, all of the calves we weaned have already had DNA pulled, we missed her since she wasn’t in the weaning group. Jacob grabbed a photo of 1801 on his phone today. I will try to get a better one this week.